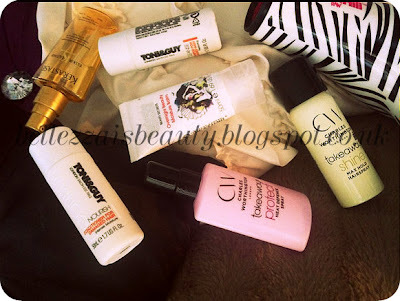 I went to boots not so long ago to get some holiday bits for my holiday in Paris! 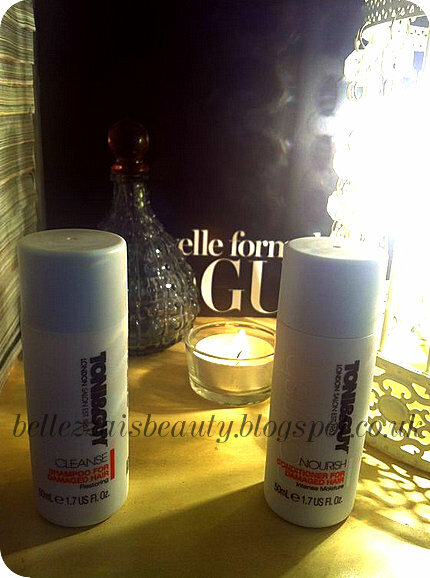 I brought the Tony & Guy shampoo and conditioner for damaged hair (since mine is bleached!) 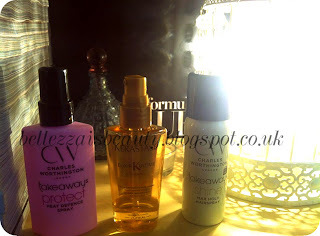 and I also got some little bottles of Heat protector and Hairspray from Charles Worthington. 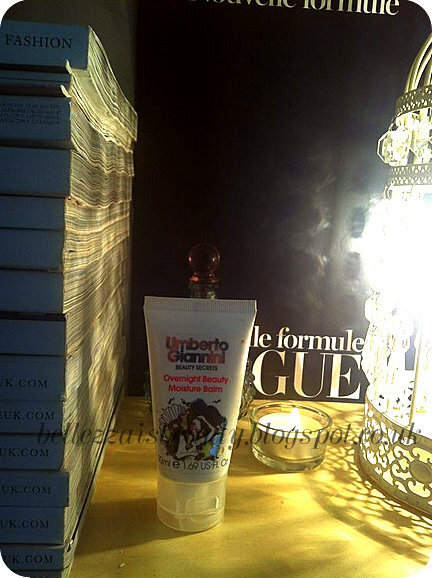 Also, Previously I got the Umberto Giannini Overnight Beauty Moisture Balm from Boots as my hair is very damaged and lacks Moisture and Protein - From Bleaching! Last Night I used some of the Umberto Giannini Overnight Beauty Moisture Balm on the ends and mid lengths of my hair and also applied a little of the Kerastase Elixir on the ends. When I woke up in the morning I half expected my hair to feel all crispy like some overnight masks can make your hair but to my surprise it wasn't crispy at all! It felt a little softer already although that may be the influence of the Elixir. In the morning I then proceeded to wash my hair instead of using my usual Bed Head Moister Manic I went for the little Tony&Guy bottles. I did two shampoo's one to get rid of the dirt and the other to allow to product to fully work (A trick I learnt from working in a hair salon) The Tony&Guy Cleanse Shampoo for Damaged Hair says it will ''Repair and revitalise dull damaged hair'' Even after the first lather I could tell the difference my hair did feel a lot softer and even more so after the second. I then went on to use the Tony&Guy Nourish Conditioner for Damaged Hair. The Conditioner claims to ''Repairs and revitalises hair in need of repair'' After applying the product through my ends and mid lengths I then massaged it into the roots for a few minutes when I washed it out it felt so soft - like silk! infact the feeling was the same as that of my usual Bed Head Manic Moisture conditioner! After the first time of using these products I can say that they seem to be very very good! I proceeded to straighten my hair (I know it's not good for it - but otherwise it would look like i'd been dragged threw a bush backwards!) I used again the Heat Spray for extra protection and after straightening my hair still felt silky soft!. After Straightening I used a little of the Exlier for a serum to the ends and some of the Charles Worthington Hairspray - which just like the heat spray isn't sticky or heavy on the hair! In all I would definatly use these all again and recommend them!